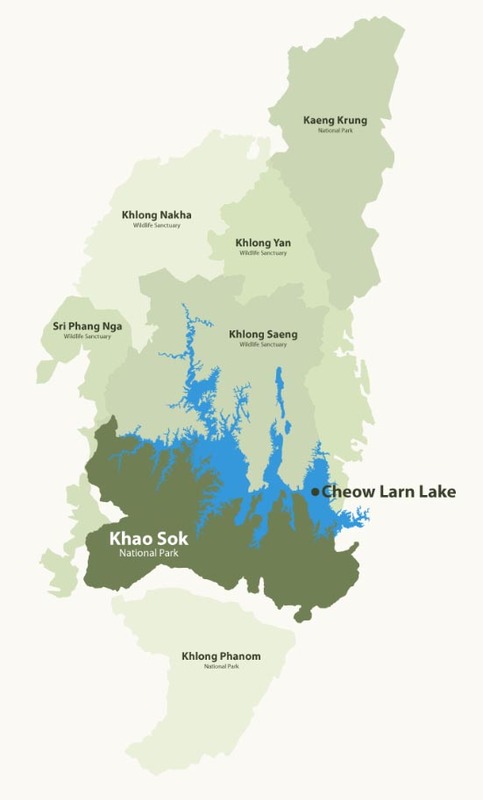 When I first heard of Khao Sok National Park, I had no idea where it was. Was it on the East or West of Thailand? What was so special about this national park? And why have I never heard of it? 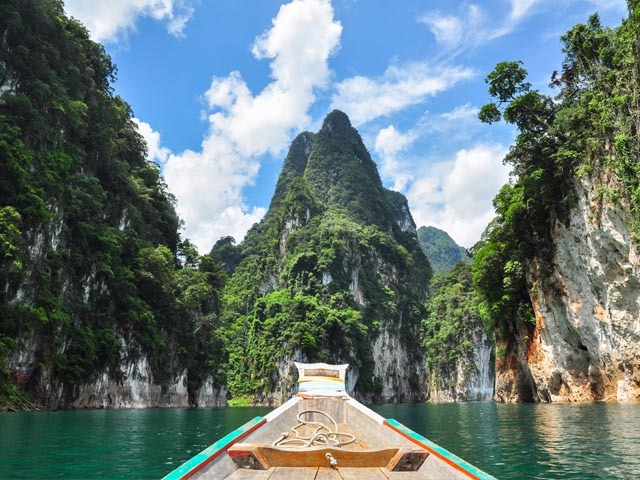 Firstly, Khao Sok is located in Southern Thailand and is one of the oldest and greenest forest ecosystems in the WORLD (160 million years old to be precise). It’s dreamy and majestic in its nature. Just look at the map below, it covers an area of 739 square kilometres! As Bangkok is the gateway to Thailand, the best way to get there is for you is to catch an overnight night train to Surat Thani. 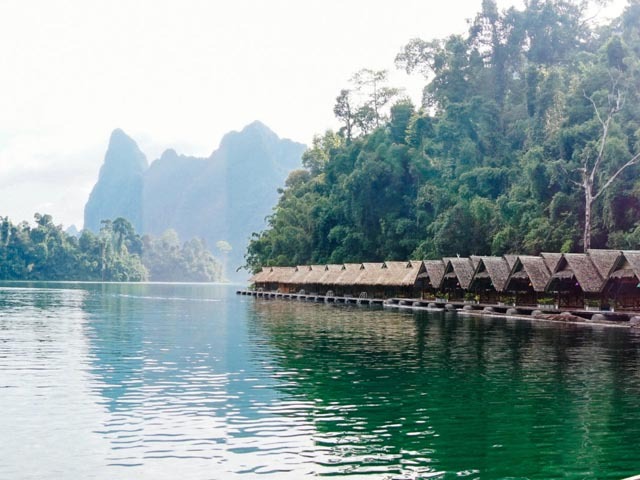 Once you’ve arrived here, you’ll be able to make your way further down south to Khao Sok National Park. Upon entering, you’ll get into a traditional long-tail wooden boat and cruise through Cheow Lan lake for an hour or more. This is a man-made lake which spans 165-square kilometres, and was created in 1982 by the construction of the Rajjaprapha Dam as a source of electricity. Well, thankfully we had a particularly hot and clear day and as soon as you got on these boats, you’re instantly cooled down. So I sat there observing the vast landscapes just wondering how a place on earth like this exists, and how I have NEVER heard of it before. Seriously though – photo opportunities for days! As our boat slowed down, we were met with the most magical sight: floating river huts, with a backdrop just as stunning. The huts were perfectly aligned and their simplicity was mesmerising. I thought, “this would make a really good movie location one day.” These are the moments that are truly unique on your travels. Because words never do it justice, you must see it for yourself. Soon after, we had lunch and we sat there soaking up the stillness and peacefulness of the national park, excited to swim and escape the heat. 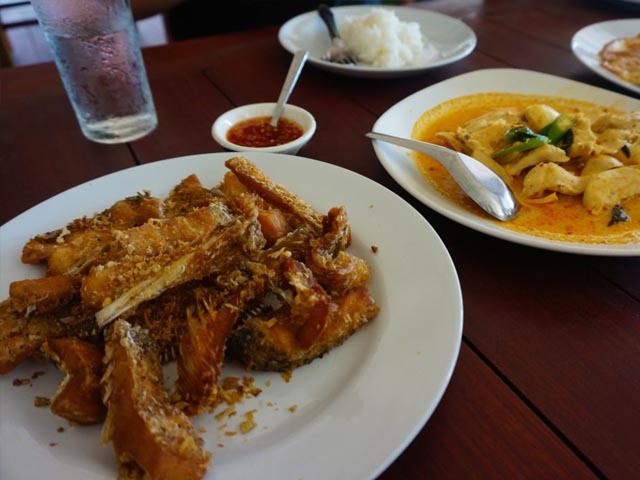 From fried fish to chicken curry, omelette and steamed vegetables- we devoured everything in front of us and more. With our bellies full, and our minds slightly in overdrive (cause, travel high, obvs), it was time to chill and lose ourselves in Cheow Larn lake along the floating river huts. This place truly is perfect for those who want to disconnect because wi-fi is virtually non-existent. In my head, I tried to comprehend this moment. Was Khao Sok like Halong Bay, Vietnam? The islands of Phi Phi maybe? No, it’s something else. It’s virtually untouched, peaceful and the perfect place to wind-down from whatever is on your mind. Is paradise a state of mind? 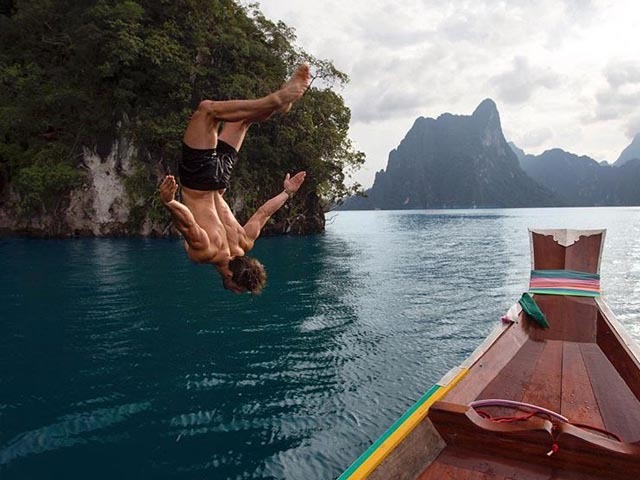 Or is Khao Sok the paradise we’ve always been searching for?